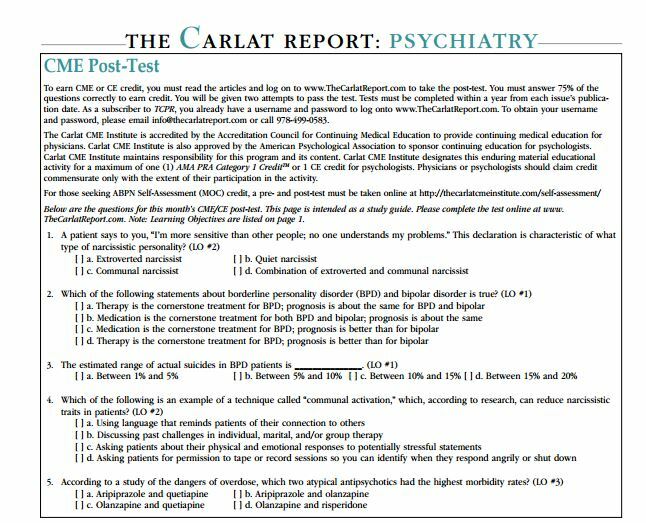 This course is a great way to earn Self-Assessment credits quickly for readers who have not already completed the 2017 Carlat Psychiatry Report Self-Assessment Course. Once enrolled, users can complete all 11 topics online at their own pace and earn their final SA certificate as soon as their done. 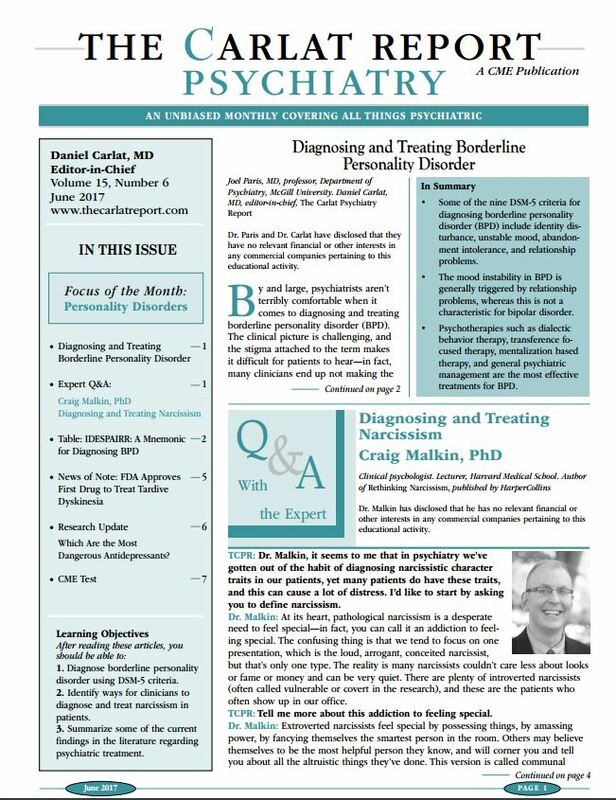 A post-test is included at the end of each newsletter. Subscribers seeking ABPN self-assessment credit must take the special pre- and post-tests online. Each newsletter and test should take approximately one (1) hour to complete, earning you 1 credit hour (except for our hotly anticipated double issues, which take about two (2) hours to complete, earning you 2 credit hours). 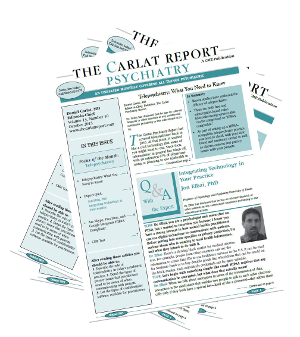 Your PDF/eBook copy of Addiction Treatment–A Carlat Guide gives you access to a comprehensive reference guide covering all the important facts, from cost to pharmacokinetics, about the most commonly prescribed medications in psychiatry. 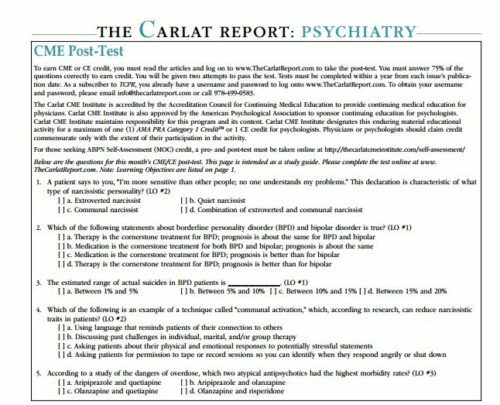 This product is specifically designed for those seeking ABPN self-assessment CME credit along with their Category 1 credit. If you DO NOT need SA credit, we recommend you purchase our standard one-year or two-year TCPR subscriptions by clicking here.